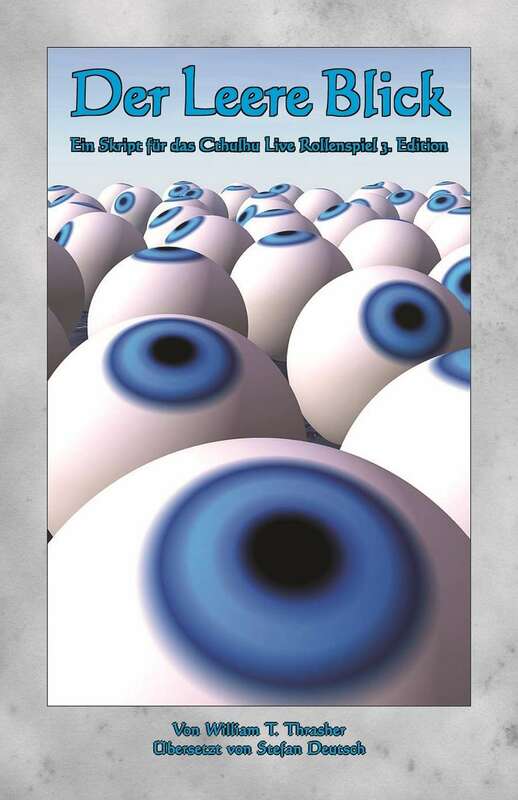 Der Leere Blick is a German-language version of the Sight Unseen script for the Cthulhu Live 3rd Edition live-action role-playing game and designed for use with the rules for it. This script can also be easily adapted for use with other horror and Mythos-oriented games, such as Call of Cthulhu. It ideal for a LARP party with friends or as a convention event and offers hours of fun, intrigue, and horror. Der Leere Blick/Sight Unseen is an unnerving multi-media LARP experience like no other. When an assortment of Arkham citizens check into the local hospital for surgery, they find themselves blinded by a madman and forced to confront the unearthly terror he has unleashed upon the world. This download includes a fully bookmarked and hotlinked PDF edition of the Sight Unseen script and two audio files that can be used to enhance the game experience. The text contains the game overview and timeline; detailed guidelines for simulating blindness in LARP, including safety precautions; prop, special effects, and stagecraft techniques designed to play upon your player’s senses of touch, smell, taste, and hearing; and detailed character sheets and backgrounds for seven player characters. When I wrote Sight Unseen I never thought it would gain enough of a reputation that LARPers in Europe would start asking for translation of the game. When a German editor came to us offering to help make a German edition of the script available I was thrilled! Thanks to his efforts, Der Leere Blick is a reality. It's the first thing I've ever written released in another language, and I couldn't be happier with the result! This title was added to our catalog on December 09, 2014.